I collect lures to trade for reels. 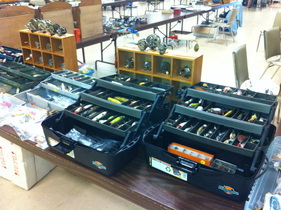 Click on the picture of tackle boxes below to see a sample of my old lures. 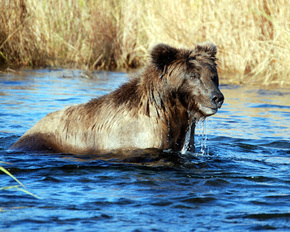 I have been fishing in Bristol Bay Alaska several times and have encountered many Coastal Brown Bears (Grizzly Bears), especially at Brooks.